Every time one of my kids calls to say that they ordered a tuna salad sandwich and wished they hadn't, my culinary ego receives a boost...such a little thing to make a mother happy. I, on the other hand, will never order tuna salad at a restaurant and probably will not taste anyone else's version either; too many people use light tuna...which is glorified cat food, if you ask me. Then, they compoud the damage by mixing in a certain sweet, horrid salad dressing that is not a true mayonnaise. My recipe is simple...yet well defined by the ingredients. My mother taught me how to make tuna salad; I assume her mother taught her. The only difference in Mother's recipe and mine is that she used bottled lemon juice. Growing up in Emmetsburg, IA, in the 1930s, she probably did not have access to fresh lemons year round and decided it was an acceptable substitute. If a recipe calls for lemon juice, fresh is the way to go. The bottled kind is horrible in comparison. 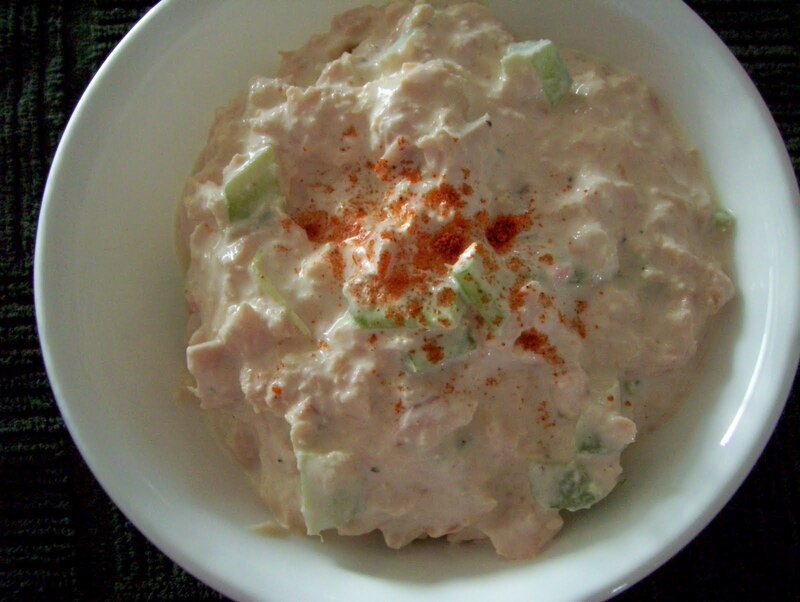 Tuna salad is wonderful as a sandwich filling or mixed with cooked macaroni and shredded, sharp cheddar cheese. 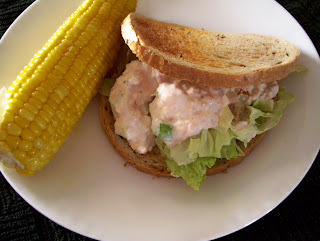 I also love tuna salad companioned with a buttery baked potato...the flavor combination is delicious and comforting. Tuna salad also makes a great snack with crackers or served on slices of crisp cucumber. It is an all around versatile recipe. Mix ingredients well and adjust according to your taste preference. Marian wrote: I love tuna salad, too. One thing that bothers me is when some restaurant puts mustard in it. I also wouldn't like having garlic in it, but surely no one would do that! I think I'll try the lemon juice, though. 94. Potato Salad with Radish, Eye-catching Color.